Diabetes mellitus is a condition where your pet's body cannot use glucose normally. Glucose is a sugar normally used to energize your body's cells. The level of glucose in your body is regulated by a hormone called Insulin, which is naturally produced by the pancreas. In diabetic pets, just as in humans, the levels of insulin in the body are not enough to regulate the amount of glucose in the body. Risk factors include: age, breed, body condition, diet, and more. Certain breeds can be more at risk for diabetes. Females may be more at risk than males in some cases. Older cats tend to become diabetic, but diabetes is not age specific and may develop at any age. Obese pets are the most at risk for developing Diabetes. Pets who have previously been diagnosed with another disease such as Cushing's Disease, overactive thyroid, pancreatitis, heart/kidney disease, and more have a predisposition to becoming diabetic. How will I know if I need to get my pet checked for Diabetes? If your pet shows any of the above signs, get your pet in to see your veterinarian. The earlier the diagnoses the better chance at a healthier and happier life for you and your pet. Veterinarians will have a suspicion of the condition based on symptoms, but will confirm the diagnosis based off of the findings of high levels of glucose (sugar) in blood (hyperglycemia) or in the urine (glucosuria) of your pet. Additional laboratory tests may be needed to rule out urinary tract infections, or other conditions that can mimic the symptoms of diabetes. Once the diagnosis is confirmed, your veterinarian will prescribe your pet an initial dose of insulin. Insulin is an injection that goes under the skin of your pet that must be done every day, sometimes twice a day depending on the needs of your pet. The initial dose will be small, and may have to be altered many times to find the right dose for your pet. After starting the initial dose, keep an eye on your dog's activity level, urine output, and water intake to decipher if the initial dose of Insulin is helping, or if it needs to be altered. You should keep regularly scheduled check-ups with your veterinarian, especially until the right dose for your pet is found and confirmed by your veterinarian. Treating diabetes successfully is a combined effort between you and your pet's veterinarian. You must be able to tell if the insulin is returning your dog to a more "normal" version of himself, or if it is not helping. If it is not helping you have to be the one to inform your veterinarian and do follow-up visits for blood glucose checks. It may take many follow-up visits, day-long blood glucose monitoring, and dose alterations at your veterinarians to see improvement in your pet. 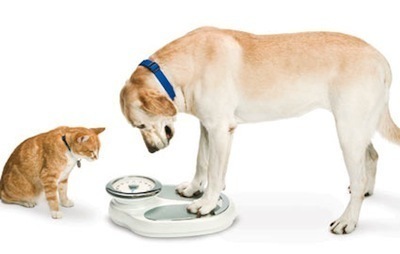 Some pets may need to change their diets to a specific diabetic dog or cat food based off of severity of the diabetes. With regular check-ups, healthier diet, more exercise, and life-long Insulin injections at your pet's appropriate dose- your pet can live a fulfilling life. Diabetes can be challenging for some owners to manage, but working closely with your veterinarian can take some of that challenge away from you. It is important even after finding the right dose of Insulin to still have regular check-up visits with your veterinarian to ensure the severity of the diabetes does not increase. If your pet has an underlying condition that may predispose or complicate diabetes- such as Cushing's, Heart disease, Overactive thyroid, etc. ensure to keep that managed by following your veterinarian's recommendations for treating/managing that condition. Your veterinarian would be happy to get you and your pet back to a happier and healthier lifestyle. In my opinion it's a huge pity that our pets can have diabetes like we. We should care and treat them more like for people. By the way, check out www.writemyessayontime.org this site. Can you give me some advices how to make my blog so good like yours? No, really, it filled out with interesting staff! Visit this http://bestwritingservicesreviews.com/superiorpapers-com/ one, hope you will like it. It will help my business and co-workers. Those who will come to read your article will find a lots of helpful and informative tips and I am sure that they will appreciate your effort https://www.topcelebrityjackets.com/ryan-gosling-blade-runner-2-long-leather-fur-coat in preparing this post. Surely, we are using development wherever in the urban territories as we use mobile phones generally without fizzle. We use lift rather stairways to go up or down. It's all occasion https://www.essaysolution.co.uk/write-my-essay by virtue of development. This is an amazing article since you have shared few to a great degree fundamental information about the advancement. There are many informative, funny and historical books in my school’s library where we all classmates read our favorite books. We share our understandings with other friends and also https://www.edisoncarservice.com get some useful knowledge from the lecturers as well.